Click to view details regarding each room style. Or click here to view our future fees and costs explained. Room Numbers: 18, 19, 20, 21, 22, 23, 24, 25, 32, 33, 34, 35. This is a sample of our Premium Single Rooms. All of our Premium Rooms are fitted with Wall Mounted Flat Screen Televisions and a Stained Glass feature window. They are all modern and in excellent condition with their own Private Ensuites, Large built in cupboards and wardrobes, and comfortable "hospital style" furnishings for the care and comfort of you or your loved ones. The Rooms have convection heating and excellent views on to our gardens and across the East Devonport Wetlands and beyond. The Refundable Accommodation Deposit (RAD) is 100% refundable upon departure from Melaleuca. Residents may choose to pay this one off payment, OR they may Choose to pay the Daily Accommodation Payment (DAP). Alternatively Residents may choose to have a combination of the RAD and the DAP. Resident may elect to pay: $270,000 (Half of the RAD) and a reduced DAP of $43.94 per day. Our Deluxe Single Rooms are in excellent condition and have their own private ensuites. Each Room has a excellent lighting, views onto our gardens, huge built in wardrobes. These rooms are very private, comfortable and have excellent access to all areas and all the necessary equipment for you care, comfort and safety. 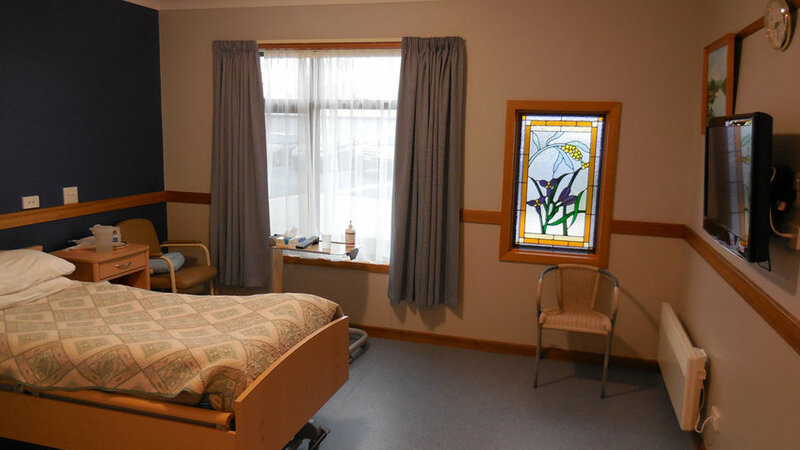 All rooms are fitted with a Nurse Call Bell system and modern hospital style furnishings. Deluxe Rooms are some of our largest rooms. Room Numbers: 17, 43, 44, 45. Our Large Single Rooms are in very good condition and have their own private ensuites. Each Room has a excellent lighting, views onto our gardens, built in wardrobes. These rooms are very private, comfortable and have excellent access to all areas and all the necessary equipment for you care, comfort and safety. All rooms are fitted with a Nurse Call Bell system and modern hospital style furnishings. Large Single Rooms are our largest rooms. Room Numbers: 46 & 47. We have two (2) of these Single Rooms, and they are adjoining each other via a shared ensuite. These rooms are ideal for a couple of those that are comfortable sharing and ensuite. They are in very good condition. Each Room has a excellent lighting, views onto our gardens and built in wardrobes. These rooms are very private, comfortable and have excellent access to all areas and all the necessary equipment for you care, comfort and safety. All rooms are fitted with a Nurse Call Bell system and modern hospital style furnishings. Large Single Rooms are some of our larger rooms. Room Numbers: 40, 41, 42. We have three (3) of these Single Rooms, although somewhat smaller in size they do have private ensuites. They are in very good condition. Each Room has a excellent lighting, views onto central courtyard and built in wardrobes. These rooms are very private, comfortable and have excellent access to all areas and all the necessary equipment for you care, comfort and safety. All rooms are fitted with a Nurse Call Bell system and modern hospital style furnishings. Standard Single Rooms are our smallest rooms but they are warm and comfortable. If you have made the decision or are thinking about moving into an Australian Government-subsidised aged care home, then you may be wondering how much it will cost. There is no simple answer to this question. But don't worry, there are strong protections in place to ensure that care is affordable for everyone. The Australian Government calculates and regulates maximum daily fees. It also enforces limits as to how much you can be asked to pay as an accommodation bond or accommodation payments. What types of costs will there be? accommodation payments (calculated according to your assets). an income-tested fee – an additional daily fee to pay if you receive income above a certain amount. Whether or not you will need to pay an income-tested fee – and how much you will be asked to pay – will be determined through an income assessment. If you are seeking government assistance with aged care accommodation costs, you must undergo an assets assessment by the Department of Human Services or the Department of Veterans' Affairs.